Hi Peeps! Anyone who knows me knows my love for Mexican culture. The food is amazing, the music is inspiring, the language is ancient and the ART is beautiful! 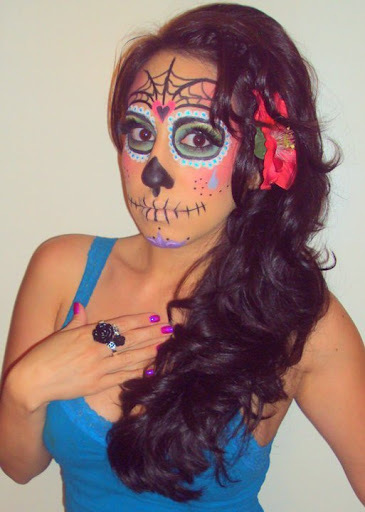 I have always been fascinated with the Mexican version of Halloween, “Dia de Los Muertos.” I researched a few face masks and found the perfect one I wanted to recreate on my face. Fun, huh?